Vitamin B12 is increasingly popular due to its weight loss enhancing capabilities. Because of this, many have heard of B12 injections or supplements for weight loss and most assume that Lipotropic B12 injections are the same thing as other B12 injections on the market- with “lipotropic” written off as a bit of medical jargon added into the mix. In reality, the term “lipotropic” refers to a very specific nutrient that is not present in all B12 injections. 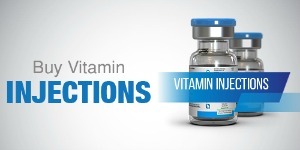 While both contain Vitamin B12, Lipotropic injections offer additional nutrients that further enhance weight loss. Common lipotropic nutrients include Methionine, Choline, Inositol, and Betaine. Each is responsible for maintaining a healthy liver. In terms of weight loss, this means that lipotropic nutrients help metabolize fat more efficiently. Since lipotropic nutrients further enhance weight loss, many have begun to incorporate it into their routine to further their weight loss goals. While there’s not much evidence that lipotropic nutrients directly impact weight loss, much like B12, it’s the details that are key to understanding the effectiveness. Lipotropic nutrients are proven to help promote healthy functioning of the liver. This helps not only in metabolizing fat, but also in removing cholesterol from the bloodstream. They are also proven to help guard against depression, liver disease, and anxiety. Much like lipotropic nutrients, vitamin B12’s role in weight loss is based more in its ability to improve overall body functioning and health. B12 helps the body process nutrients more effectively and, in turn, increases metabolism. Lipotropic nutrients, aid in the breakdown of fat. Together, they offer the best of both worlds. Both B12 and lipotropic nutrients are available separately in pill form. Since many often default to oral supplements, this option may seem appealing, but that doesn’t mean it’s the best. Because pills must go through the digestive process, many oral supplements have additional additives (sometimes harmful) and lose much of their potency and effectiveness. Injections, on the other hand, are delivered directly into the body, bypassing the digestive tract. This means that there is no need to add additional ingredients into the mix, and that the body is able to absorb it immediately. Not only does this increase the effectiveness of the vitamins and nutrients injected, but it also translates to instant results. Instead of getting a third of the dose you thought you were getting from the oral stimulant, you will get the full dose- saving you time and money, while also voiding any health risks associated with byproducts or additives often seen in traditional oral supplements. Whether you choose B12 Injections or Lipotropic B12 Injections is ultimately up to you. Both are beneficial to the body and both help in different ways. If you find you are struggling with weight loss, you may benefit from both, but considering the additional benefits obtained from lipotropic nutrients in addition to B12, why not choose a combination of both? Now that you know the difference, what will you choose?